Looking back on the USDA meeting in Jacksonville, I am left with anger, grief and a sense of urgency that we keep moving forward. The meeting of the National Organic Standards Board (NOSB) was an historical turning point for the National Organic Program (NOP). It was a watershed moment. After massive scandal and fraud in recent years, this was our last chance to regain the lost integrity of the organic seal. The regulatory issue up for a vote was whether soil is the necessary foundation for organic farming. If soil isn’t required, hydroponics will lead the way to a new USDA Organic. But the bigger issue was the integrity of the National Organic Program. Does it stand for real organic, or has it become a marketing tool for industrial agriculture? All of the organic philosophy is about building the health of the soil. All the benefits of health and climate come from a fertile soil. If you can get the soil right, then you don’t need pesticides. Not all traditional farming is organic. Some of it was very destructive, and created most of today’s deserts. There was a time that Afghanistan more closely resembled Austria. But at the same time that the European Commission is strengthening organic standards to prohibit hydro, the National Organic Program is collapsing like a house of cards. The Jacksonville meeting had the feel of a gunfight at the O.K. Corral. Organic pioneers and advocates came from as far away as Europe, and from as close as downtown Jacksonville. We were united by common beliefs about soil and health. We were there to celebrate and defend real organic, not to attack hydro. The hydro forces were arrayed against us with Driscoll’s, Wholesum Harvest, Organic Trade Association, California Certified Organic Farmers (CCOF) and United Natural Foods Inc. working together to get hydro approved. We were wearing t-shirts that said, “Protect Organic.” But they wanted to Protect Money, not Organic. Money is what connects these groups. Wholesum is big by my standards, but Driscoll’s dwarfs them as one of the two biggest organic producers in the world. They are also the biggest conventional berry producer in the world. They are big. If we took Driscoll’s out of the equation, the whole fight would have disappeared. Driscoll’s brought Organic Trade Association and CCOF to the hydro side. Without them we would have won years ago. The “debate” would be over. There was a Rally to Protect Organic, with 65 farmers and eaters during the lunch break on the first day. 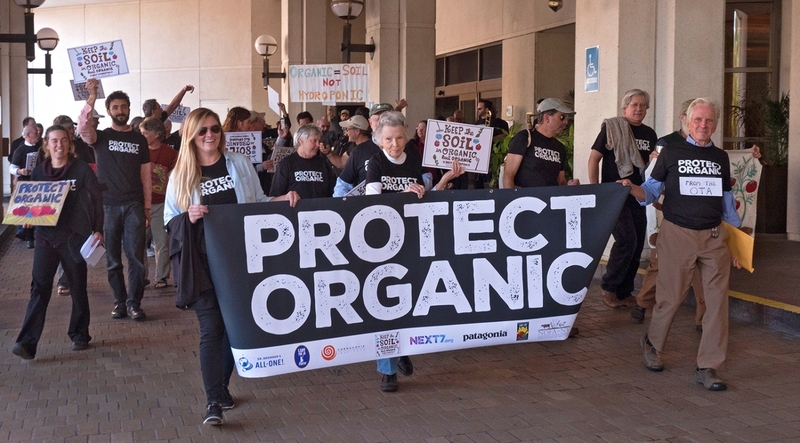 We marched behind a brass band and spoke at a plaza to recall what the word organic stands for. There were 14 other rallies across the country leading up to Jacksonville, but there has never been such a gathering as took place that day. Farmers who have taught the rest of us for many years, such as Eliot Coleman and Fred Kirschenmann, inspired us with their call to action. Younger farmers such as Linley Dixon, Dan Bensonoff and Tom Barrett traveled far to support real organic. The march was led by Anais Beddard, a 29-year-old farmer who is the second generation to run Lady Moon Farms, and Eliot Coleman, the 78-year-old pioneer who helped the USDA write its first report on organic farming 37 years ago (eight years before Anais was born!). Between them marched 92-year-old Emily Dale, who attributes her long life and health to eating organic food. Eliot Coleman speaks at the Rally to Protect Organic. Eliot helped the USDA write its first report on organic farming 37 years ago. Hear Eliot Coleman and Dave Chapman, the author of this post, talk about the importance of soil. Four current National Organic Standards Board (NOSB) members and six former NOSB members, joined us at the Rally, as well as farmers from all over the country. Most of that crowd was well qualified to serve on the NOSB as well. They included scientists, policy activists and eaters. Anglos and people of color. Women and men. Young and old. They were people who cared about food and how it is grown. They were highly informed leaders of the organic movement. Jennifer Taylor, farmer, former NOSB member and member of the Organic Farmers Association Steering Comittee. She inspired me to "be strong and represent" years ago. When citizen testimony began in the afternoon, there was a wave of excitement as farmer after farmer spoke about why soil is the basis for all organic farming. Out of over 32 real organic farmers who testified, only two were in direct competition with hydro producers. The rest were there to protect organic. Speakers included former NOSB member Gerry Davis, an agronomist who testified for Grimmway Farms, owner of CalOrganic. Grimmway is the biggest organic vegetable farm in the world. Gerry was also the chair of the NOSB Crops Subcommittee at the time of the 2010 Recommendation. He also presented a report in 2016 to the USDA Hydroponic Task Force that I served on. He was uniquely qualified to speak about the issue. His position, still, was that hydro does not belong in organic. He felt that soil was the necessary foundation of all real organic farming. Organic pioneer and former NOSB chair Fred Kirschenmann. Farmer Fred Kirschenmann, former National Organic Standards Board Chair, and current board President of Stone Barns Foundation, spoke of the need to protect organic. He said that limited natural resources will become more scarce with time, and organic must find a different path forward, based on the soil and the law of return. Michael Besancon testified for Patagonia, which strongly supports the movement to Keep The Soil. Michael is a former senior global vice-president for Whole Foods, but at the meeting he was testifying for Patagonia. He shared Patagonia’s letter to the NOSB supporting soil, signed by 17 different CEOs. He warned of the enormous threat to the organic brand from allowing hydroponics. He said this departure from integrity and transparency would damage faith in the organic seal, hurting both the organic trade and farmers. Alan Lewis spoke for Natural Grocers, warning of the destruction of the trusting relationship that it has taken so long to build up with customers of the organic seal. Jeff Moyer, former NOSB chair, Executive Director of Rodale Institute, and member of the 2010 Crops Subcommittee. Another speaker was Jeff Moyer, executive director of Rodale Institute and board member of IFOAM US. Jeff was also an active member of the 2010 Crops Subcommittee who went on to become chair of the NOSB, and remains adamant that organic needs to be in the ground. He stressed that the 2010 recommendation was very clear in its intention. He still stands by it, as does Rodale. Jim Riddle, former NOSB chair and current chair of the Organic Farmers Association Steering Committee. Another was farmer Jim Riddle, former NOSB Chair, and current Steering Committee Chair of the Organic Farmers Association (OFA). Jim said that the first policy position of the OFA is to support the soil proposal from the NOSB Crops Subcommittee. Farmer Tom Beddard of Lady Moon Farms. Another was Tom Beddard from Lady Moon Farms, who spoke with great energy about why we needed to keep the organic standards true. Another was Abby Youngblood of the National Organic Coalition, testifying in support of organic for 13 member NGOs that have fought for years for organic integrity. Another was farmer and Keep The Soil organizer David Miskell, who showed a short video of 14 earlier Rallies To Protect Organic that led up to the meeting. NOFA VT Policy Director Maddie Kempner. Another was NOFA VT Policy Director Maddie Kempner, who has been instrumental in organizing Rallies for three years now. Another was Lisa Stokke from Next 7, who presented two petitions with 86,000 citizen signatures urging NOSB to keep the soil. Most of those signatures were gathered within the previous two days. The two petitions have since gotten over 100,000 signatures. Lisa Stokke from Next 7. And Jennifer Taylor, Georgia farmer and former NOSB member. And Jay Feldman, former NOSB and Executive Director of Beyond Pesticides. And Colehour Bondera, Hawaiian farmer and former NOSB member. And Marian Blom representing IFOAM EU, which urged the NOSB to prohibit hydroponics. And farmer John Bobbe from OFarm. And farmer Roger Noonan from New England Farmers Union. And farmer Linley Dixon from Cornucopia Institute. And farmer Isaura Andulez from Organic Seed Growers and Trade Association. And Anais Beddard, Sarah and Ryan Voiland, Jim Gerritsen, Mark Kastel, Jack Algiere, Jim Fulmer, Pat Kerrigan, Charlotte Vallaeys, Karl Hammer, Mike Brownback, Urvashi Rangan and on, and on, and on. One certainly can’t say that the NOSB didn’t hear from the organic community. The testimony continued the next day, and by the time of the vote, even diehard pessimists like me believed that we would win the vote. How could the board deny what they were hearing? The movement had finally come to testify. The words were so clear and true. How could the board fail to protect the organic movement? The testimony by the Hydro lobby was flat and uninspired, often presented by paid lobbyists. One leading lobbyist from the Organic Trade Association (OTA) was unable to answer the simple question from NOSB member Francis Thicke, “If you are growing in a container of coco coir and all the fertility is given as a liquid nutrient, is that hydroponic?” The lobbyist looked like a deer in the headlights. After saying that he didn’t understand the question, and having the question repeated, the lobbyist finally answered, “I don’t know.” This was coming from a very intelligent man who has studied this issue for literally many hundreds of hours. He has insisted numerous times that Driscoll’s is not hydroponic because they grow in containers. When asked a direct question in public, his entire argument collapsed. I would suggest that he did know, and has always known. It put a lie to the OTA campaign of obfuscation. It turns out that everything about “hydroponic organic” is a lie. The name of their primary lobbying group (The Coalition For Sustainable Organics) is a lie. They are really a coalition for hydroponics in organic. It is a lie that they are primarily motivated by a desire to feed the poor of the world. These are business people. They are motivated by a desire to become richer by cashing in on the organic brand. Gus Schumacher, the recently deceased founder of Wholesome Wave, was motivated by a deep desire to feed the poor and underserved. Theo Crisantes of Wholesum Harvest has a different motivation. I do not judge that. We can’t all be saints like Gus. Just let us be honest about it. It is a lie that it is wrong to take certification away from hydro because they are already certified. We all agree that Concentrated Animal Feeding Operations (CAFO) should be decertified, despite “being organic” for years now. We should not continue to give certification to producers who don’t deserve it. The organic seal cannot survive it. It is a lie that hydro is in alignment with the 2010 recommendation. The 2010 recommendation is clearly about prohibiting hydro. The vast majority of current hydro production was started after the 2010 recommendation was passed. Certainly Driscoll’s knew they were opposing a standing National Organic Standards Board (NOSB) recommendation, as they had an employee on the board as a “farmer” member (another lie). It is a lie that hydro is “soil” despite the twisted logic of some prominent lobbyists who redefine words with abandon. It is a lie that hydroponics doesn’t use pesticides. In the two biggest hydro operations that gave presentations to the USDA Task Force, pesticides were a regular part of their insect control strategy. It is a lie that hydroponics will not flourish without organic certification. As Marion Blom testified, 100% of the many thousands of acres of conventional greenhouse vegetables in Europe are grown hydroponically. The only soil production left in EU greenhouse vegetables is organic. There is nothing revolutionary about hydro except that it is displacing soil growing. 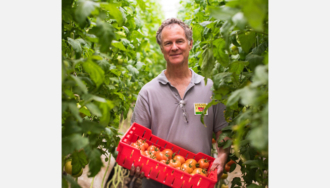 Conventional hydro is quickly putting field soil growers out of business for tomatoes, cucumbers, peppers and berries. This is the new world order, regardless of what the National Organic Program (NOP) does. Prohibiting hydro in the NOP would have created an alternative, the last safe place for soil production. The last place to buy food grown in the soil. It is a lie that greenhouse growing saves energy. 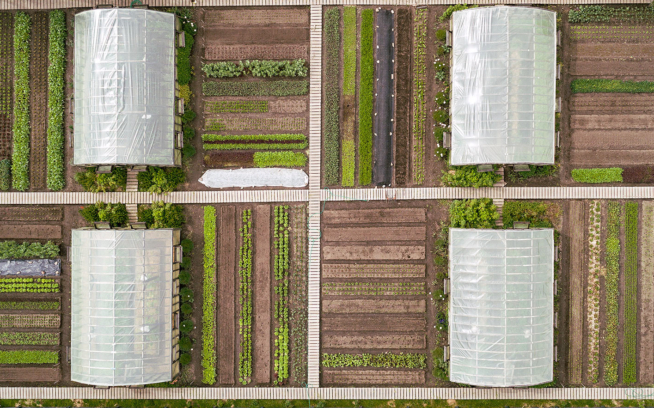 While it does offer food grown out of season, almost all greenhouse growing has a larger carbon footprint than field growing, even taking into account transportation. I say this as a greenhouse grower who is working hard to reduce my own carbon footprint. Let us be honest. All greenhouse growers have real work to do on this. We will not accomplish this work by lying about our impact. It is a lie that hydro is better for the environment because it uses less water. Repairing a broken water cycle is one of the main benefits of real organic farming by building up the carbon sponge of the soil. Not only does it hold water when it rains hard, thus preventing unwanted runoff, but it also stores water for sustaining the plants when it is needed after the rain has stopped. It can create a verdant ground cover whose plants give off microbes needed for the formation of rain droplets. Our expanding deserts are not a result of a shortage of hydroponic greenhouses, but rather the destruction of the soil carbon sponge. The hydro operations are good at recycling water in a very local way, but they do nothing to help cycling water in a regional ecosystem. 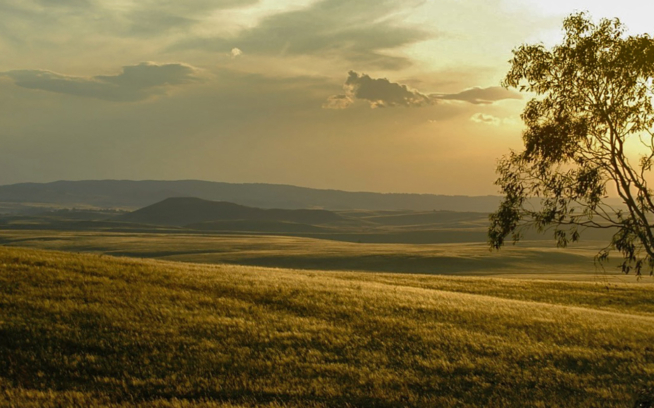 Poor agricultural practices are creating the desertification of the planet. Hydro will not reverse that. Also, the large hydro operations (such as Driscoll’s 1,000-plus acres) mostly occur in desert climates where it is impractical to grow crops such as blueberries and tomatoes. Then these same crops are trucked thousands of miles to feed people in much more temperate climates. It is a lie that we can only feed ourselves with hydroponics. Intensive agriculture is possible in the soil as well. Although yields are lower in the soil than in coco coir suspended in the air, they are still quite high. If such intensive agriculture is necessary to feed us, we can do it. Real organic production of greenhouse vegetables is growing in the EU, due to strong standards that protect real organic there. It is a lie that a federal program is incapable of maintaining real organic standards. The EU has done that, and continues to do it. Even as the USDA sells off the National Organic Program to the highest bidder, the EU is strengthening their already strong greenhouse standards to ensure that all organic production in Europe takes place in the soil, in the ground. It is a lie that hydro is the only way to bring in young farmers without a lot of money. Young farmers are leaving the organic program in droves, because they no longer believe in its integrity. They are creating an alternative system of marketing their soil-grown crops. It is a lie that the hydro debate is about supporting small farmers. This debate is not about small farmers, despite what the lobbyists say. It is paid for and driven by a few enormous companies, primarily Driscoll’s and Wholesum. That is why Organic Trade Association (OTA) is in the fight. That is why California Certified Organic Farmers (CCOF) is in the fight. That is why United Natural Foods Inc. (UNFI) is in the fight. By allowing hydroponic to be called organic, the National Organic Standards Board (NOSB) has made the National Organic Program into a lie. One thing that is true is the hydro claim that they want to make the tent bigger. They want to make the tent enormous. The bigger, the better. But they don’t care about who gets into the tent. If you are willing to call your crop organic, come on in. They just hope that the real organic farmers will stay on the edge near the cameras for the publicity shots. That way they can say, “See. We are all in this together! We’re with them!” But the reality is that the tent isn’t getting bigger. They are just changing who is in the tent. Because the real organic farmers are going to leave. In one year, or in ten years, they are going to leave. Only one soil farmer in two days testified in support of certifying hydro, and he was the President of CCOF. Every other soil farmer testified to exclude hydroponics. At the end of two days of testimony, the board deliberated. We got to hear from the Soil Seven and from the Hydro Eight. The Soil Seven are the seven NOSB members who have tried to protect the organic standards from the start. They labored to craft a compromise proposal that might get the needed 10 votes for passage. They spoke eloquently about what organic means. I was inspired by the words of every one of them. When Dave Mortensen was finished, I felt challenged to become, not just a better farmer, but a better person. They all make me proud of the organic movement. They are glad to be called the Soil Seven. The Soil Seven. These NOSB members stood up to protect organic. Emily Oakley, Dave Mortensen, Jesse Buie, Dan Seitz, Francis Thicke, Steve Ela, and Harriet Behar. When the Hydro Eight spoke, it was confusing and disjointed. They did not seem to believe their own words. They seemed embarrassed by what they were doing. They gave a strange assortment of reasons for their votes. Some said it was because they supported the 2010 recommendation prohibiting hydroponics! How strange is that? Some said it was because they wanted to protect the environment—apparently by paving it. One said that after the shooting in Ferguson, she wanted to make sure poor people had access to affordable “organic” food by making it hydroponic. One said it was because Native Peoples had a strong connection with the land, and so she was supporting hydro. One said that she hadn’t heard from consumers. Perhaps she missed the consumer petitions with 86,000 signatures presented earlier. Tom Chapman is the Chair of the NOSB. Under his leadership, the recommendation to prohibit hydroponics was defeated. He is the sourcing manager of ingredients for Clif Bar. Jack Algiere, farm manager of Stone Barns speaks at the Rally. Perhaps it is worth mentioning that the NOSB did not vote to allow hydro. They just failed to pass a new recommendation to prohibit it. According to Miles MacEvoy, it is not an actionable vote unless it calls for a change and passes by two thirds. So the standing recommendation to the National Organic Program (NOP) continues to be the 2010 recommendation (further supported by the 2016 nonbinding resolution prohibiting hydro). And the NOP will continue to ignore and oppose both recommendations. The Final Meeting: Francis Thicke’s farewell speech in which he warned of the failure of the NOSB to represent organic. In the end, the problem wasn’t that the arguments weren’t strong enough or clear enough. We didn’t fail to make our case. It was simply that we had the wrong people making such an important decision. Many of the board members simply aren’t qualified to redefine the word “organic” for the entire United States. They have never read Albert Howard’s seminal book, The Soil and Health. Or Eve Balfour’s book The Living Soil that helped to inspire this movement. They have little understanding about what we are talking about. “Why is soil important?” They are unable to answer that question. 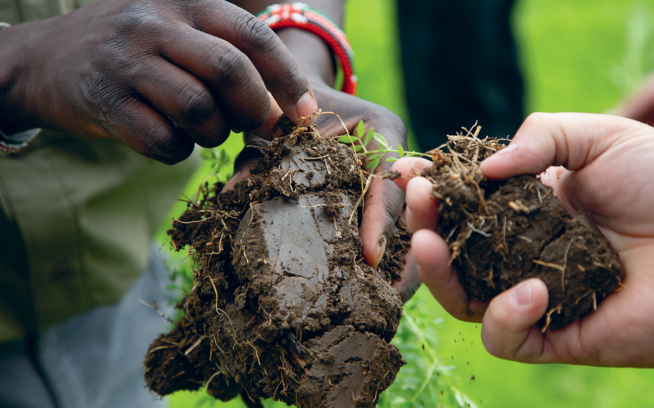 Some of them even roll their eyes at the idea that human health comes from the soil’s health. They were selected by Secretary of Agriculture Tom Vilsack (who also never understood organic farming) to protect and defend the organic movement. But they were not up to the task. I believe that the best of them will be haunted by the damage they have done for years to come. In the end many didn’t want to vote at all, but my hat goes off to board member Sue Baird for insisting that we have a right to an honest vote. She tragically voted the wrong way, but at least she insisted that the endless obfuscation end. So we can finally move forward now. Of course the organic movement lost. We no longer have a partnership with the USDA. This was a truly tragic event, as the world needs the leadership of the organic community more than ever. At this critical time, the microphone has been taken away from us. The USDA will go one way, and the organic movement will go another. The farmers who have worked so hard and invested so much energy to build up an organic seal have lost. The companies that are true believers in organic have lost, putting their trust in the Organic Trade Association which has so badly failed them. The nonprofits that have advocated for us with the USDA for many years have lost. Even much of the opposition has lost. CCOF has lost their soul. Before long they will lose some of their farmers as well. Certainly they will lose much of the coming generation. Organic Trade Association (OTA) has done incalculable damage to the organic brand. I suspect that organic sales will lose billions of dollars in the coming decade as a result of this vote. Of course, “certified organic” sales will continue to grow, because people are desperate to find an alternative to the industrial food system. Many will be misled into thinking that “certified organic” is that alternative. And the hydro sales will boom, passing themselves off as “organic” to the unwary. Concentrated Animal Feeding Operation (CAFO) “organic” will boom, emboldened by the success of the Hydros. Senate supporters for New Organic who force the inclusion of CAFOs have won a great victory. But for other OTA stakeholders, they will lose business as people lose faith. With the suggestion of a “Hydroponic Organic” label, maybe they will also consider a “CAFO Organic” label, and a “GMO Organic” label. After all, none of these use prohibited pesticides. And the eaters will lose the most. As the industrial ag folks pour in, it will be harder and harder to find real food. We all buy “certified organic” as much as we can. But now we will trust that seal less and less. And it will be less worthy of our trust. As board member Emily Oakley said in the meeting, “73% of certified organic farms in 2016 were under 180 acres. And only 0.4% of USDA certified organic farms that same year were hydro/aqua/‘container’ combined.” So less than 1% of certified organic farms are hydro. Seldom have so many lost so much for so few. Farmer Anais Beddard is one of the leaders of the next generation of organic. Many organic farmers and eaters are now convinced that the USDA is no longer a worthy partner. And many have not yet heard the news. We have tried everything we could to save the National Organic Program, but we failed. Now we are talking about creating a different label. Some want an add-on label that would stand for real organic. Some want a stand-alone label that has nothing to do with the National Organic Program. Some want to pursue the Regenerative Organic label that Rodale is promoting. But the time for action has come. We have tried and failed. Now let us move forward, respecting our differences, and continue to build a real organic movement together. It will be a lot more fun than fighting the USDA. They have always needed us more than we needed them. We all owe a debt of gratitude to Eliot Coleman for his many years of leadership and sharing. Eliot with farmer Sarah Voiland of Red Fire Farm. Organic agriculture is based on improving the fertility of the soil. Please join Dave Chapman and the pioneers of organic farming by demanding that the USDA keep organic growing in the soil and reject hydroponics as certified organic. This story first appeared in an email update. For more information and to keep up with this issue, please visit keepthesoilinorganic.org.